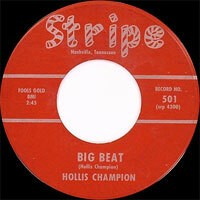 Chanteur Rockabilly US originaire de Decatur (Alabama), Hollis Champion a enregistré pour Linco et Stripe Records de Nashville (Tennessee). Il est aussi connu sous le nom de Elmer Fudpucker. 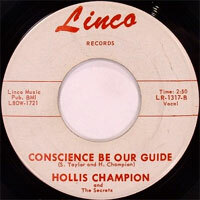 Hollis Champion was born in Decatur, Alabama. In 2006, he moved to Portland, Tennessee. The bold paragraphs below are from the Alabama Music Hall of Fame. 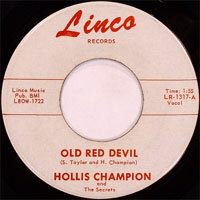 Hollis Champion began his recording career as "Hollis Champion" in the late 1950s when he recorded "Old Red Devil." Then he moved to Nashville in the early 1960s, developed a flare for comedy and adopted his flashy stage name, Elmer Fudpucker. Over the years appearing as Elmer Fudpucker, he has been the opening act for such diverse performers as Jerry Lee Lewis, James Brown, Kenny Rogers, the Statler Brothers and Marty Robbins. 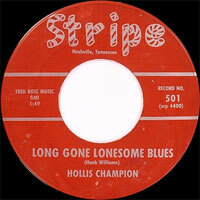 His first break in the business came when Ernest Tubb asked him to open performances at fairs for him. 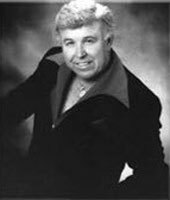 Fudpucker has been a pioneer of party albums, he earned a gold record for "Elmer Fudpucker at the Nudist Colony," released in the mid 1960s. Many of Fudpucker's party albums are geared toward truckers and one of Fudpucker's early albums, "Damn D.O.T., Volume 1" was No. 1 for 44 weeks on the trucker's Top 10 chart. Besides comedy appearances at fairs, conventions, concerts and clubs, he does serious recordings, which include the patriotic "I Love You, America." He also operates a novelty business, called Fudpucker Fun Products, which manufactures T-shirts, bikinis, bumper stickers, country music books and magazines, fizzle glasses and "Fudpucker's famous swamp root potion." The novelties are sold at truck stops as are Granny Fudpucker's Famous Homemade Chocolate Chip Cookies.